If you're a keen follower of the modern-day retro gaming scene then you'll no doubt have heard of Igor Golubovskiy, better known as Krikzz. Over the past few years, Krikzz has built up a solid reputation thanks to his superb line of flash cartridges which cunningly allow you to play ROMs on vintage hardware. After creating carts for almost every retro system you could mention – as well as iterating on them to add new features and overcome technical issues – he has now turned his attention to other items of classic hardware, the most notable of which is the rather swanky Joyzz wireless controller for the Sega Mega Drive (or Genesis, if you prefer). Bluetooth pads for old consoles are nothing new; 8BitDo has been producing high-quality facsimiles of NES and SNES pads for years, and these have been given additional appeal by the fact that they also work wonderfully with the Nintendo Switch. However, while 8BitDo does offer a DIY solution which covers the fantastic Sega Mega Drive 6-button controller, it's not actually compatible with the original system. 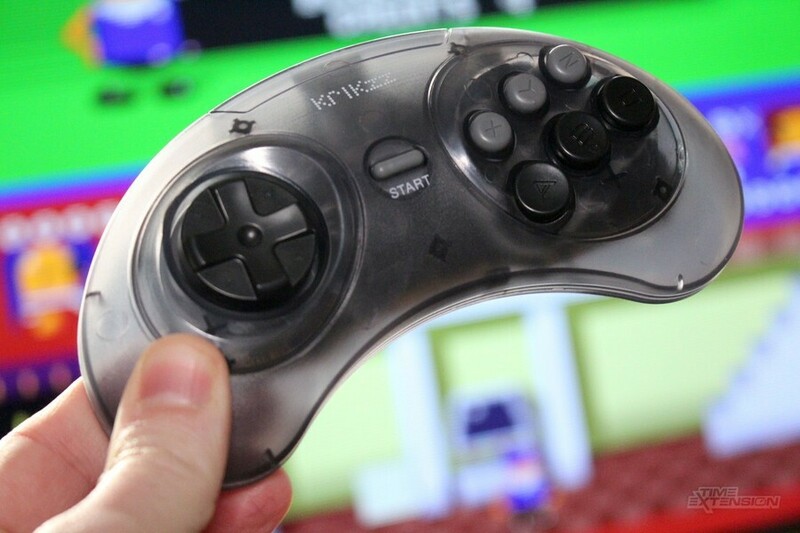 Next year, 8BitDo will release a proper wireless Sega pad – the M30 – alongside Analogue's Mega Sg system, but for now, Krikzz has this small sector of the market all to himself (Sega did release an official wireless 6-button controller back in the day, but it uses an infrared signal so you have to have line-of-sight with the receiver plugged into the console). Based on the design of the SJ-6000 pad – which was launched around the same time as Capcom's Street Fighter II made its debut on Sega's 16-bit console – the Joyzz is an astonishingly close match to the real deal. While some early customers complained about scratched casings, awkwardly-installed D-Pads and printed text which rubs off a little too easily, our review unit was pretty much faultless. Everything feels robust and solid, there's no creaking when you apply pressure to the pad itself and in terms of weight, it's a close match to the original SJ-6000. How Krikzz has been able to achieve such a close match we don't know, but the Joyzz feels like a 100 percent authentic product direct from Sega's factories and exhibits none of the usual shortcomings you get from cheap 'clone' controllers sold by other third-party manufacturers. 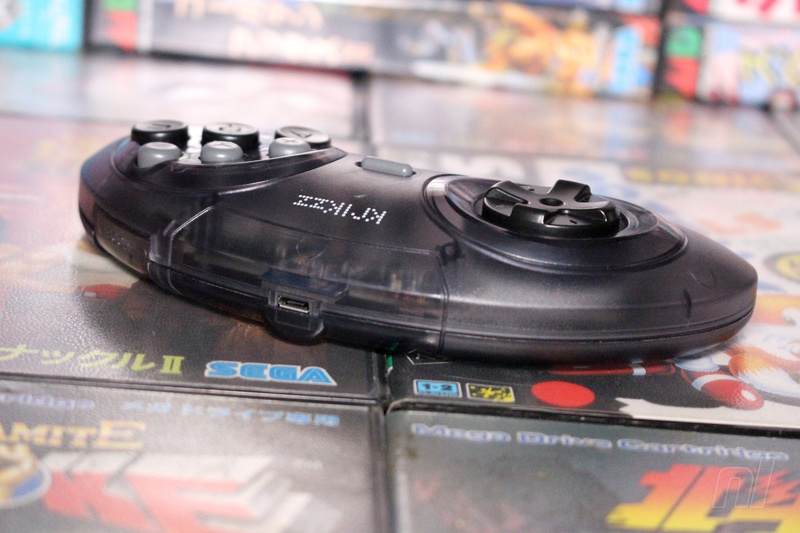 The Joyzz comes with a wireless receiver which plugs into the controller port of your Mega Drive console. Pairing the controller is a breeze; ours was already done so we literally only had to press a button on the pad to restore the wireless connection, but unpaired units can be bonded by hold the 'Mode' shoulder button along with the X, Y and Z buttons. The pad even comes with a host of 'compatibility' modes which are also accessed by button combinations; you can make it act like a 3-button pad (hold Mode, Start and C for 3 seconds - this is vital for certain Mega Drive games that don't support the SJ-6000, most notably Golden Axe II) or a two-button Master System pad (hold Mode, Start and B for 3 seconds - this is for those SMS games that won't play nice with the Mega Drive controller when using the Power Base Converter). To return to the standard 6-button mode, you have to hold Mode, Start and Z for 3 seconds, or power cycle the controller. While Krikzz has designed and created the Joyzz's internal board from scratch and made the external casing, he has relied on off-the-shelf parts elsewhere – most notably with the 800 mAh battery. It uses a Nokia BL-4C power cell, which offers around 150 hours of gameplay on a single charge – an incredible amount, especially when compared to the level of stamina seen in other wireless pads. The upshot of this approach is that when the battery eventually dies many years down the line, you should be able to source and install a replacement easily. 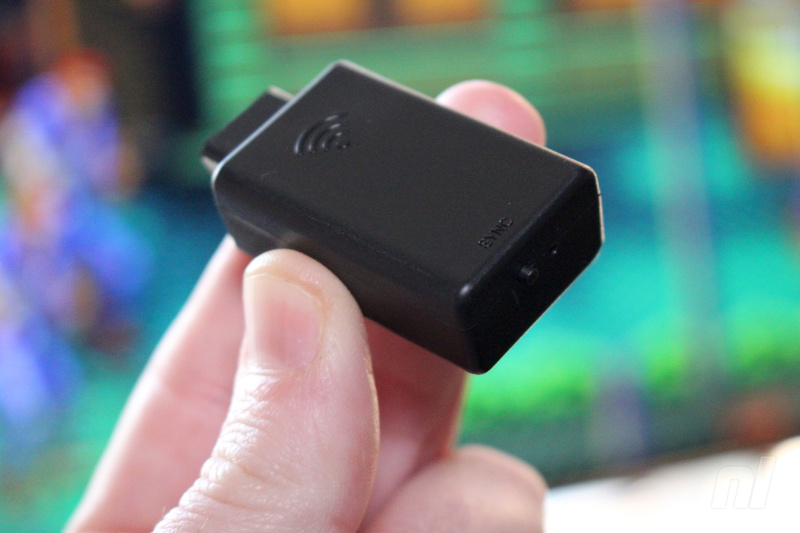 There's no cable included with the unit, but the Joyzz charges using Micro-USB connection, and we've all got at least one of those lying around the house by now, surely? Of course, the proof is in the playing with any controller, and we're pleased to report that the Joyzz passes with flying colours. The D-pad and buttons feel just as good as the ones on an authentic SJ-6000, and there's no noticeable input lag – Krikzz quotes the response time being something in the region of 2.7ms, and we have no reason to question that. The controller didn't lose connectivity at any point during our test, either. In short, this feels as good as the real thing, with the bonus of being totally wireless. Given that it's based on what is arguably one of the finest digital controllers of all time, the Joyzz can't fail to be of interest to seasoned Sega fans. The only real stumbling block is the price; at £64.99, this is expensive in anyone's book – and when you consider that 8BitDo's pads and wireless receivers are considerably cheaper, it gives you even more reason to pause before stabbing that 'Buy' button. However, it's worth keeping in mind that, unlike his rivals, Krikzz is very much a one-man operation and doesn't benefit from the economies of scale afforded to a company like 8BitDo. He literally assembles these units by hand, so it's perhaps unsurprising that he has to charge a little more in order to cover his overheads and his time. When the 8BitDo M30 launches next year, the Joyzz will have serious competition, but there's no telling for sure if 8BitDo's pad will be as good as Krikzz's creation, even if it is cheaper (you'll be able to get the M30 and 2.4g receiver for just $24.99). If the price seems like a sticking point then you'd be advised to wait and see how the M30 turns out, but if you're comfortable spending this amount of money and want an authentic controller more than anything else, then this really is the only option – so it's good to know that it's a solid one. Kirkzz makes some cool stuff, but it's really quite silly trying to do as much as he does with such a small operation. He should really stick to niche products with small, but prevalent consumer bases. I want some wireless MD pads,but not at 65 notes. 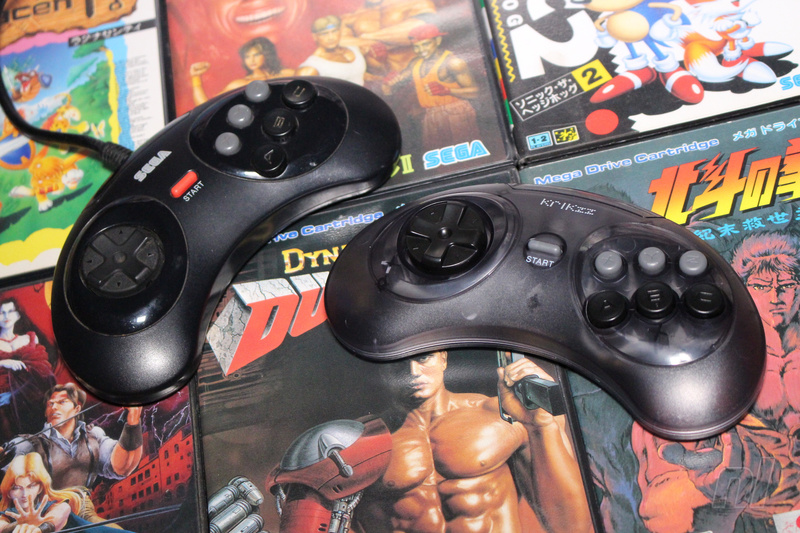 Retro-bit have got some mega drive and Saturn pads coming out in January or February....has anyone had a hands on with those? They look legit and I need some replacement/additional controllers but I won't get them if they have rubbish reviews. At this point I’d need to take out a loan to get all the stuff I want from krikzz. I shall stick to my wired pads for now and will be picking up the 8bitdo pad in January. For £65 you could get a region free Mega Drive 1, two controllers and an RGB SCART cable! Man analogue should have made a clear smoky grey mega sg instead of the white one just not show off rendered scans to leave customers confused. I know a lot of people(including me) we're upset with how the clear super nt was handled but I do like mine and would have been nice to have matching clear consoles. I've had mine for a couple of months now, it's well worth the money if you're into your MegaDrive games. Be a little bit careful if you find one for a good price on eBay, apparently the first batch of controllers had the d-pad rotated clockwise a little bit too much, causing the occasional diagonal press instead of directly up, all the newer ones are fine though. @YANDMAN Yep and I contacted 8Bitdo and they said the Genesis ones will be out sometime in February (no specific date as of yet). 8Bitdo has my trust and their devices are so simple to use it is amazing. @Jokerwolf I like that they are bigger and rounded ,they fit an adult hand much better than the originals. Krikzz does incredile work but to me this seems pointless. @BulkSlash 8bitdo M30 looks much better for a third of the price. @YANDMAN Ya, I am not saying their stuff is bad, 8Bitdo just blew me away, especially with the Dongle that lets you use a ton of controllers with the Switch/PC. Sorry but I trust 8Bitdo more and the fact that the M30 controller is cheaper just destroy all interest I had with this controller. Now if it only use bluetooth instead of the 2.4ghz wireless signal then yeah maybe I will give it a shot but at this point 8Bitdo all the way. Perhaps the only positive about this one over the 8Bitdo ones is that the battery lasted longer for around 150 hours of play time whereas 8Bitdo will probably only lasted around 25 hours of play time just like the SN30. Nice to see an alternative to 8bitdo, I think a lot of people really overrate their products as I have received some defective products from them with some quality issues. I would rather pay more for something from a better manufacturer. I wonder what the chances are of 8bitdo or this guy making these controllers compatible with Switch? They would be great for playing SF30th and the AGES games. It's worth noting that these have been out for almost a year, long before the 8bitdo/Analog was announced. I found it strange that no mention of the yearly Krikzz Black Friday Sale, which has been in effect since last night, was made here. 20% off everything. Even so, I bought the 8BitDo Gen pads the minute they went up for sale on Amazon. how does input lag compare between all of these, including the old infrared models? Got one a few months ago direct from Krikzz to use with my Retron5. Works flawlessly.